Am I late to this event, but I can see why the sport is so loved. I'll stick to watching swimming. 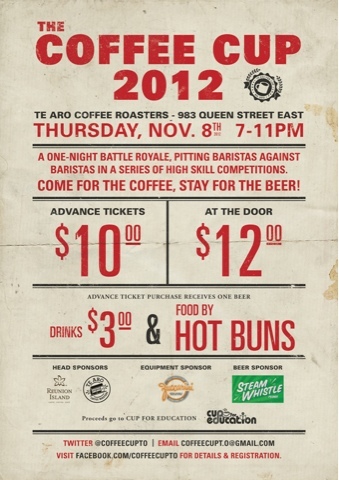 Come watch Barista go head to head. Hosted by: Reunion Island and Te Aro. A kin to the #TNT, proceeds going to Cup to education. You will see one face there: me.